These days, integration in any area, be it STEM or the arts, seems to be the buzzword to curriculum designers everywhere. There are so many resources floating around out there with the claim of integrating content areas. Yet, true integration is often difficult to find. Indeed, integration is a rare yet seemingly “magical” approach that has the capacity to turn learning into meaningful practice. Which of course, as any teacher will tell you, is anything but magic. Integration requires collaboration, research, intentional alignment and practical application on behalf of the teachers who take on this challenge. From the students, integration demands creativity, problem-solving, perseverance, collaboration and the ability to work through the rigorous demands of multiple ideas and concepts woven together to create a final product. Integration is not simply combining two or more contents together. It is an approach to teaching which includes intentional identification of naturally aligned standards, taught authentically alongside meaningful assessments which take both content areas to a whole new level. Put together, these components set the foundation for how we will be able to facilitate the Common Core State Standards. With a model of a sculpture that catches dew sitting on a conference room table in front of them, artist Elizabeth Tobias gestures as she, Materials Science Engineer Dr. Justin Liu, and other members of the Dewers meet at the San Diego Transportation and Storm Water Department in San Diego on Wednesday. 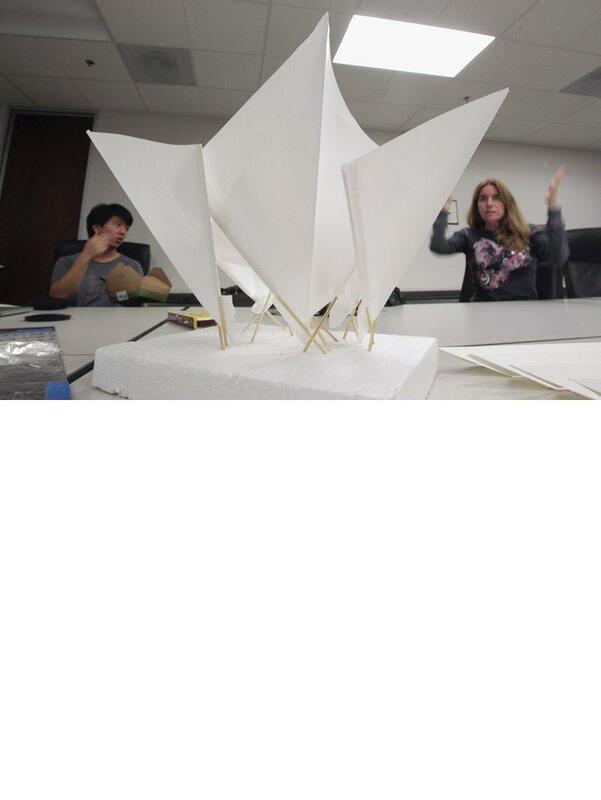 With a model of a sculpture that catches dew sitting on a conference room table in front of them, artist Elizabeth Tobias gestures as she, Materials Science Engineer Dr. Justin Liu, and other members of the Dewers meet at the San Diego Transportation and Storm Water Department in San Diego on Wednesday. For the past year, Harvey Seifter has set up a kind of laboratory in Balboa Park where dozens of community volunteers have spent hundreds of hours in an experiment where art meets science. 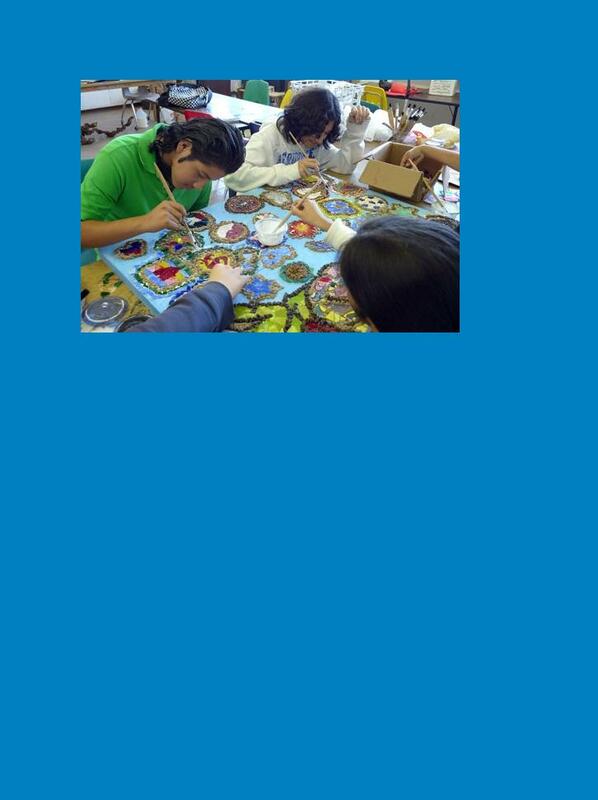 Seifter’s “Art of Science Learning,” funded by a $2.6 million National Science Foundation grant and administered by the Balboa Park Cultural Partnership, has trained its participants in opportunity identification, idea generation, core skill communication, design and numerous other skills tied to creativity and driven by an arts-based approach. But those involved in the project’s San Diego Incubator for Innovation have also been challenged to form teams and create products that would address a concrete, real-world issue: the shortage of water in the San Diego/Tijuana region.